I love these and now I want to make some. They definitely are on my to-make-as-soon-as-I-can list. 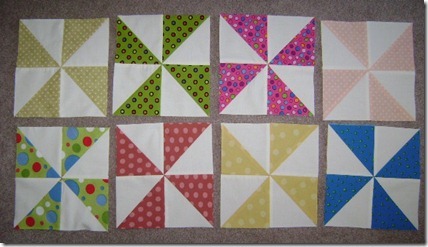 But not until I finish my log cabin blocks which are taking a while. Love your varity of polka dots. You are coming along very well! Why do pin wheels makes people smile! It looks like you are having lots of fun with these. They　are multiplying fast. 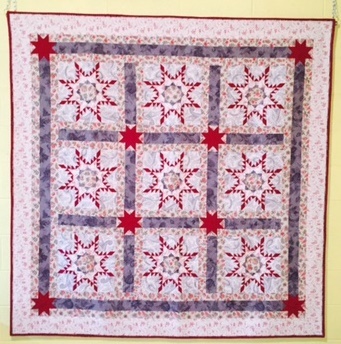 Pinwheels are so much fun — I love them too! Your colors are so wonderful.